Keep the “lazy” days of summer lazy with a Westminster Teak Lazy Susan turntable. One push of a finger is all it takes to bring your favorite condiment or beverage within easy reach – no more awkward grasping or asking others to pass items along. All of our Teak Lazy Susans include a Lifetime Warranty and a 30 Day 100% Money Back Guarantee (Including Shipping!). Crafted with 100% Grade-A teak harvested from sustainable teak plantations, our Lazy Susan turntable is fitted with a 2 inch diameter center hole for use with a teak umbrella. It also ships fully assembled on a well balanced aluminum ball bearing mechanism. Westminster Teak offers a variety of sizes including an 18 inch Lazy Susan turntable, a 24 inch Lazy Susan turntable and a 32 inch Lazy Susan turntable. Each of our premium Lazy Susan turntables is suitable for residential, commercial and marine use, and comes with a lifetime warranty and money back guarantee with free return shipping. Dear Sirs: The two glass Lazy Susan's arrived most promptly, well packed, and in perfect condition. One is in use on a large round glass dining table and the other does double duty on a smaller round glass topped cocktail table or on the large teak table on the porch. Years age I purchased two teak dining chairs from your company; they will probably outlive us! 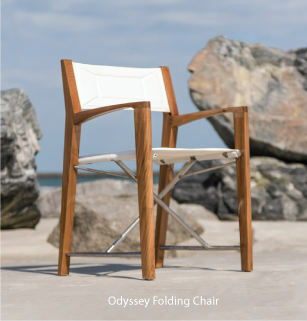 As we live in a salt air costal environment, we let the teak go silver, a lovely color. Again, thank you for the fast service and quality items.